Directed by John McTiernan. 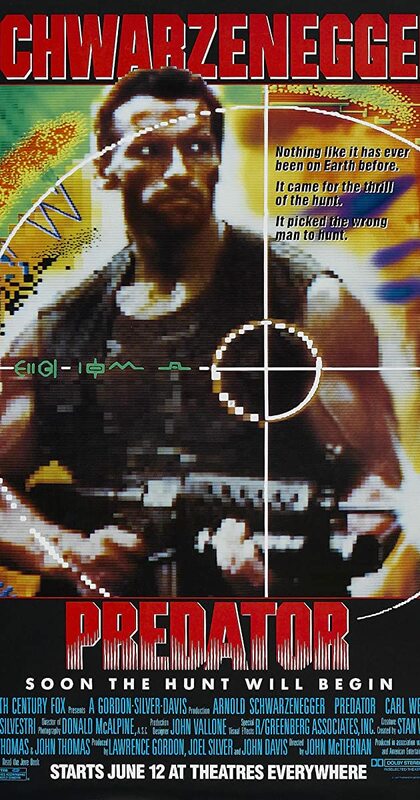 With Arnold Schwarzenegger, Carl Weathers, Kevin Peter Hall, Elpidia Carrillo. A team of commandos on a mission in a Central American jungle find themselves hunted by an extraterrestrial warrior.